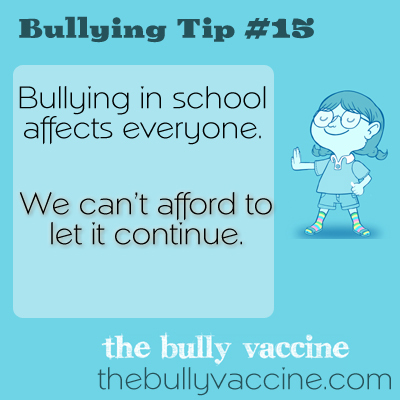 Bullying tip #15: Bullying in school affects everyone. 3 compelling reasons why we can no longer afford to allow bullying continue. The cost to society for not dealing with bullying is increased crime, suicide and workplace bullying.